Dr Lupo is a board-certified dermatologist and clinical professor of dermatology at Tulane University School of Medicine. She is a fellow of the American Academy of Dermatology and American Society for Dermatologic Surgery. Dr Lupo serves as a member and as advisory board member for a number of organisations. She also served as the Louisiana vice-chair for the Dermatology Foundation Leaders Society Campaign. 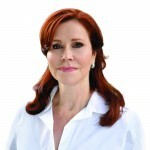 She is a founding director of The Cosmetic Boot Camp, an innovative CME program that teaches board-certified core aesthetic physicians the latest techniques for aging skin correction. Dr Lupo is the author of more than 60 published articles and book chapters, and she has been a speaker on various dermatological topics at more than 250 national and international meetings and seminars. She is often quoted in national beauty magazines on a variety of dermatological topics, from acne to ageing skin and from skin cancers to fillers and cosmeceuticals.